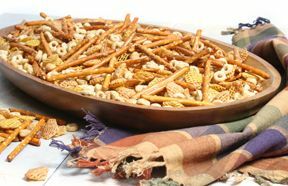 Spicy and salty snack mix that is hard to stop eating. The mixture of the ranch and the spicy cayenne and red pepper flakes is perfect. 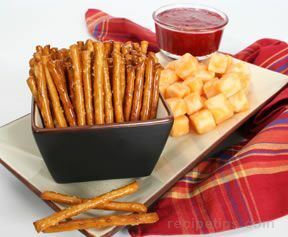 Serve this at your next gathering and place small dishes around the mingling area. 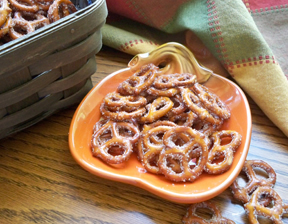 Mix oil and dry ingredients and pour over pretzels. Bake at 200 for 1 1/2 hours, stirring every 30 minutes. 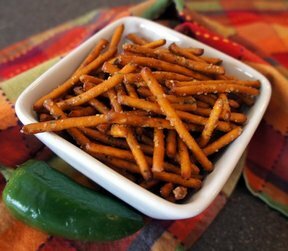 "I made these for a bowling party and everyone loved the red pepper flakes. The perfect thing to serve with ice cold beer."